Home › News › The New Year brings new opportunities for H-D racing. The New Year brings new opportunities for H-D racing. 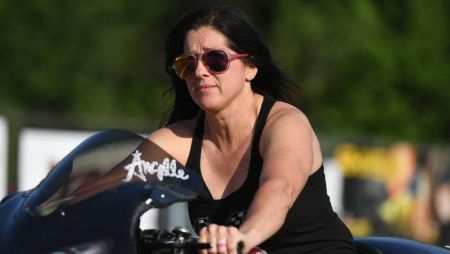 Earlier this month, three-time world champion Angelle Sampey joined the H-D Vance & Hines racing team, breathing new life to the squad that includes team veterans Andrew Hines and Eddie Krawiec. Good luck on the track Angelle.